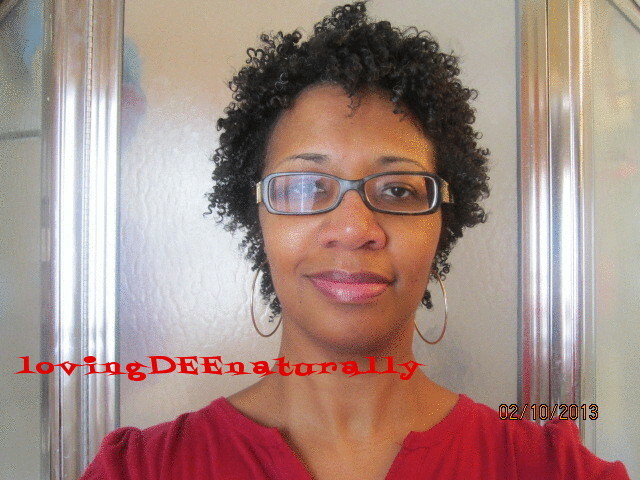 Loving Dee Naturally : TC Challenge Week 5 - TC Method twistout on old wash and go ""
I made it to day 6 and did my hair yesterday. 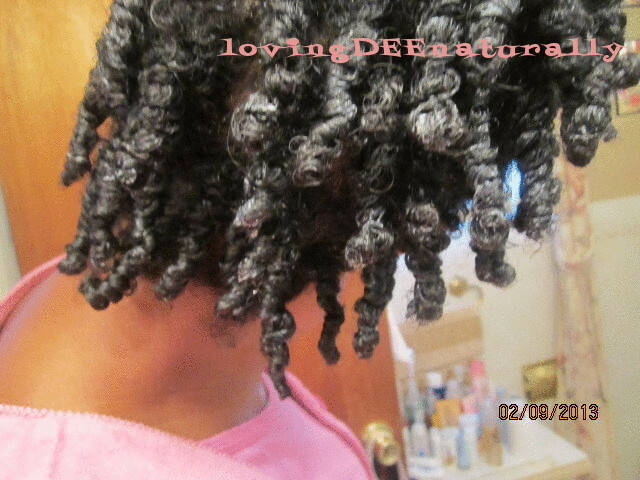 I've had a hankering to do some twists but I didn't want to lose or disrupt the curl pattern/separation that I already had and my hair really was not dirty so I didn't feel the need to do my entire regular wash/rinse, deep condition, curl separation/defining, etc. 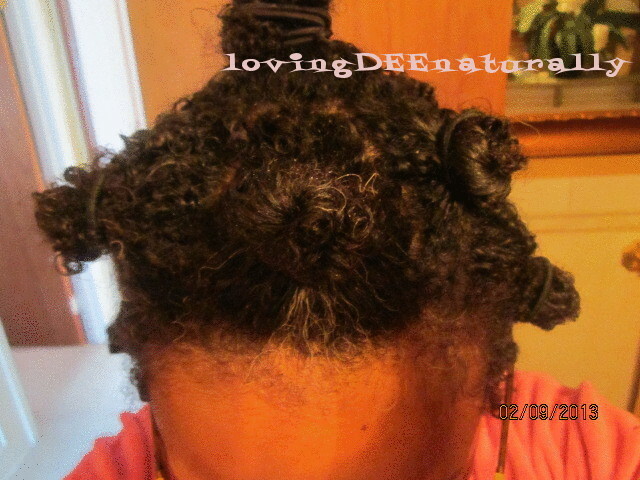 I had just finished my cardio workout and also wanted to rinse the sweat from my scalp. 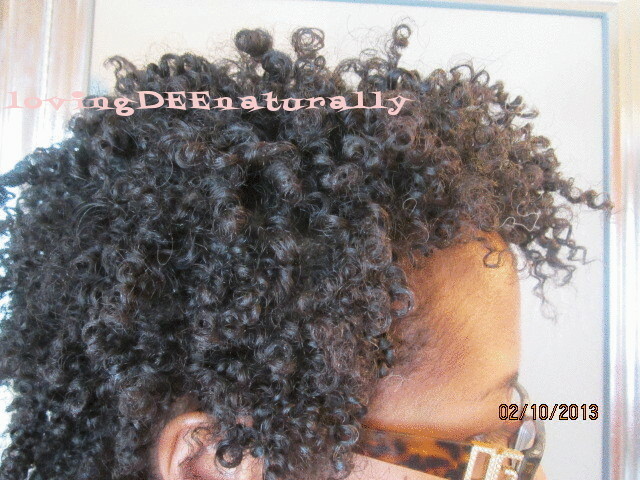 I also like to stretch/elongate my curls from time to time and this does the trick. So I separated my existing curls into sections and spritzed each section with water and smoothed some conditioner(Tresemme Naturals) on each section. I did not rake my fingers through, just smoothed the water/conditioner on the section just to moisturized/condition my hair. 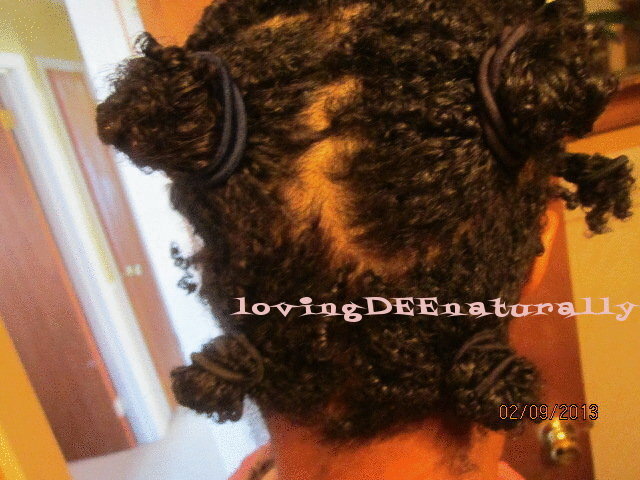 Again, I didn't want to completely change/lose/disrupt the curls I had so I bantu-twisted each section (NOT 2 strand twist but twists like a bantu knot twist) into a bun and put a goody band holder on each section. I experimented with 2 sections by just banding them straight. I do prefer keeping my hair in buns rather than straight bands .... less manipulation on the hair. 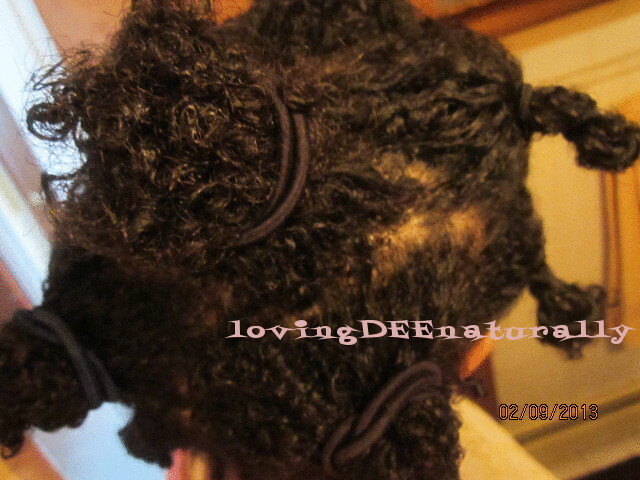 I got in the shower, wet my hair and massaged my scalp gently within each section, while keeping each section intact. 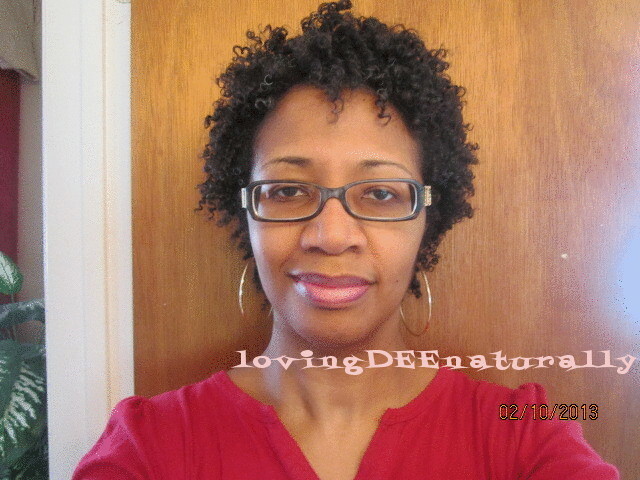 I didn't use any product, just rinsed with water (and the conditioner I applied to spritzed hair when I sectioned). After showering, I blotted my hair gently with a towel and then tied a t-shirt over my bunned/banded hair to get excess/most of the water off. I wanted to work with damp hair and not dripping wet hair. I squeezed my hair in the towel every so often over the course of about 10-15 minutes. 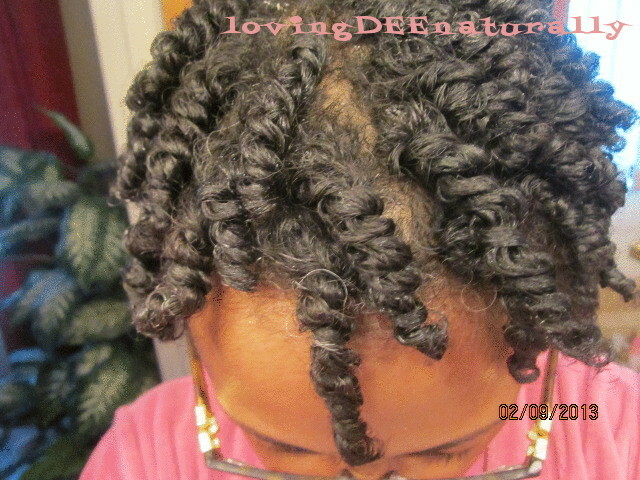 I took the towel off and I took each section, one at a time and made smaller 2-strand twists. 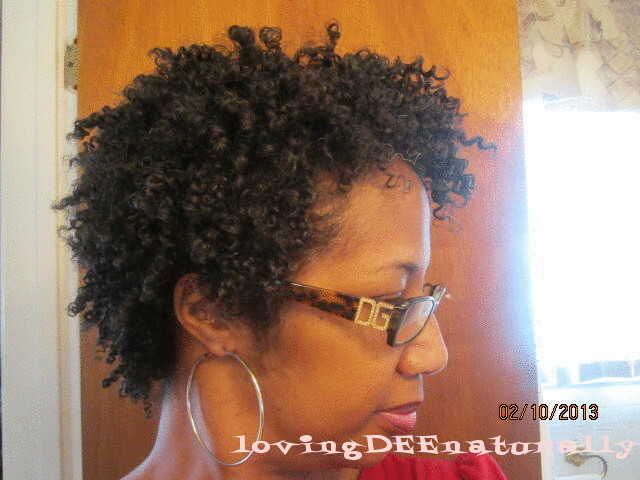 I didn't use a comb or denman, just my fingers to smooth my leave-in conditioner and to "part" my hair into smaller twistable sections. I air dried for a while and then sat under the hooded dryer for a time. My hair was not completely dry but dry enough to go to bed. 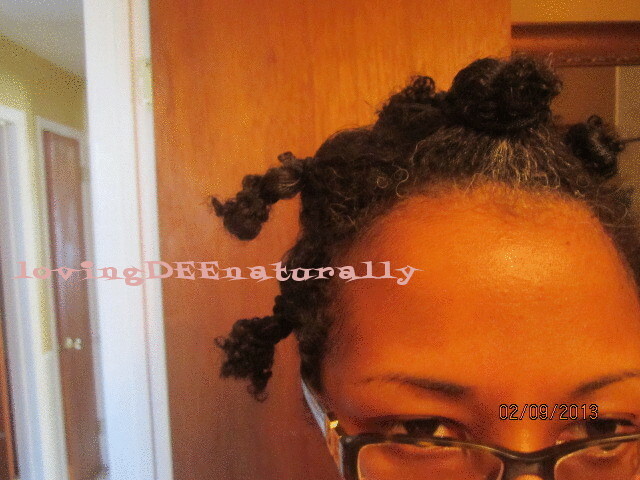 I tied one of my long scarfs around my twists and went to bed with like that. I separated each twist several times. 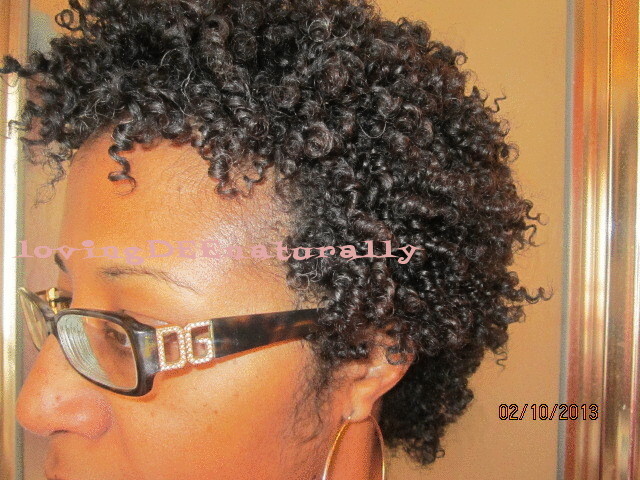 The separation/curl clumping was already "pre-defined" (from this past week) b/c it wasn't disturbed during the wetting/twisting process...I only smoothed product on, not rake it. I also massaged my scalp gently to give some volume to the style. wow!!! your hair shocks me everyweek!!! i went to the first week of TC and your week 5 is POPPIN'. Dang! Thanks sis!! 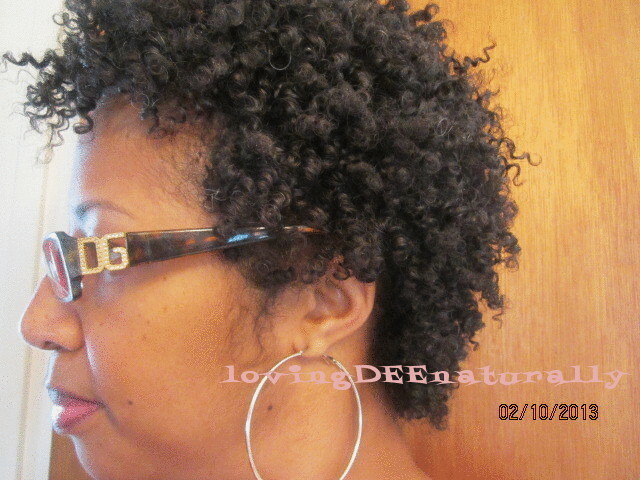 I"m loving this TC method, girl!! It does seem to get better every week. You and your hair just look beautiful!!!! 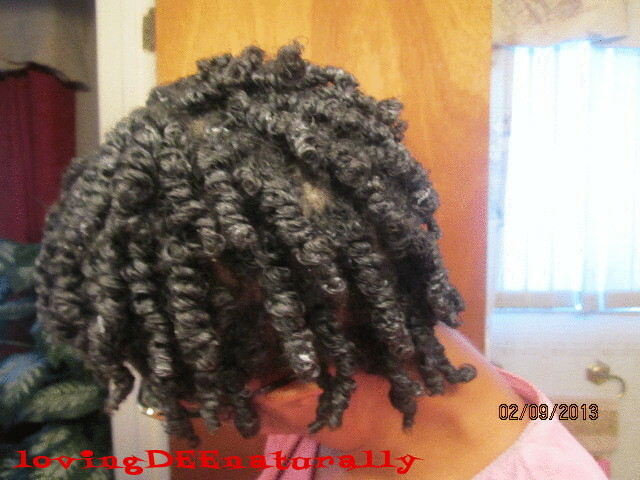 I also liked it when it was just twisted!! 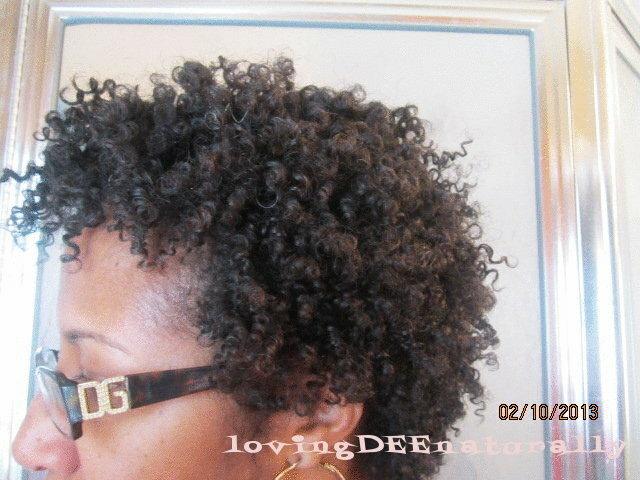 I love your curl pattern! Its BEAUTIFUL!